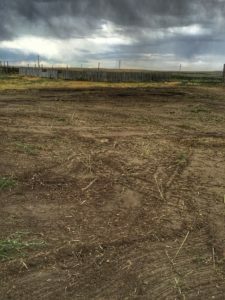 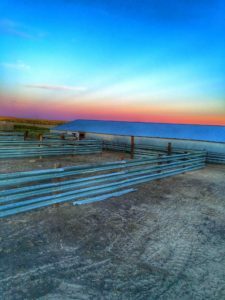 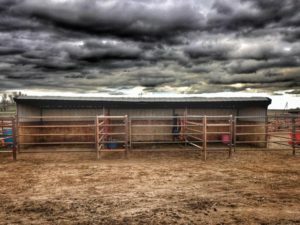 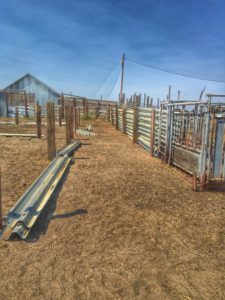 We finished off the sorting pens here in Rock River, Wyo., this weekend, and we’re moving on to other projects around the ranch today. 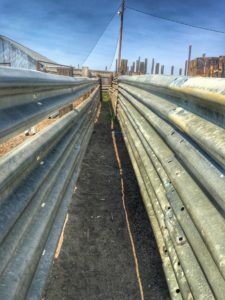 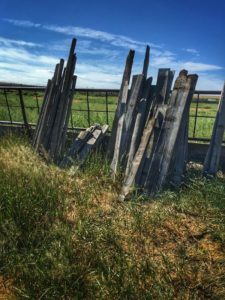 Check out how this worked out–these guard rails and railroad ties make these some of the toughest pens we’ve ever done. 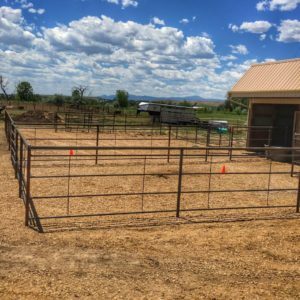 We hanged our custom gates that are easy to operate horseback, and we narrowed the alleyway to simplify the sorting process. 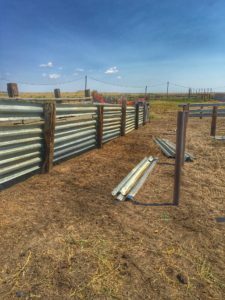 We’ve still got a few days worth of work to maximize the functionality around here–we’ll be installing a doctoring shack and a catwalk along the chutes, as well as some other odds and ends we’ll show you when we’re finished. 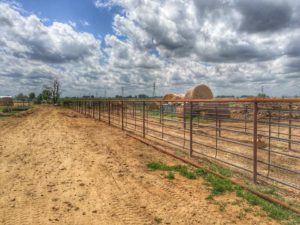 Sometimes, when we’re working on a fencing project, the homeowner will come outside to chat with us about what else they’re planning to do on their property. 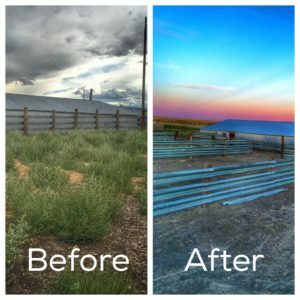 Such was the case last week when one property owner came to talk about the renovations and improvements they’ve been planning on their barn–and it just so happened we had some spare time that evening to help them with their work. 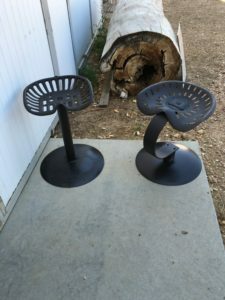 We went home after working on their entryway with some antique tractor seats the customer had picked up, and we began building some seating for around their barn. 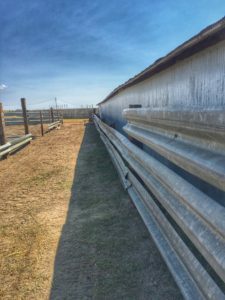 We used discs from a plow to create the base and some pipe we had laying around the shop to create a rustic yet polished look for around the barn. 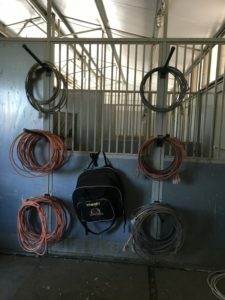 When we were finished, we built some rope holders because God knows we love an organized tack room. 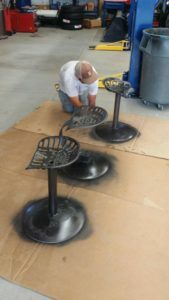 This was a fun way to improve these great customers’ facilities. 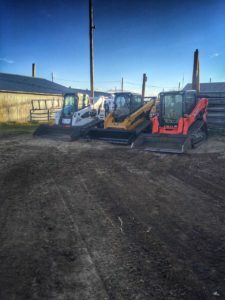 Don’t be afraid to ask if you’ve got a lingering project around your place–we’d love to help and we don’t mind working in the shop after hours to help you out. 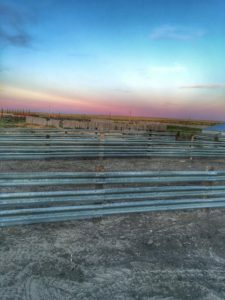 Dream BIG because there’s a lot more we can do and we love a challenge. 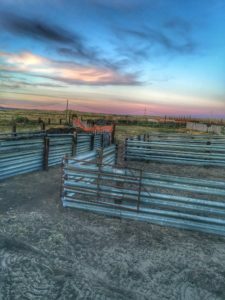 We’ve been rocking and rolling on dozens of projects from Castle Rock, Colo., to Laramie, Wyo., and all over Northern Colorado! 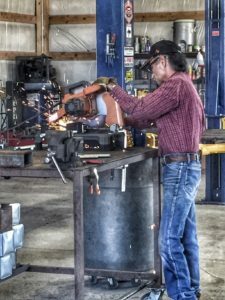 The friends who’ve reached out to us for our services have been vital in starting and growing our business. 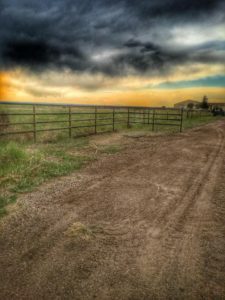 Here are some snapshots from our work on the Front Range. 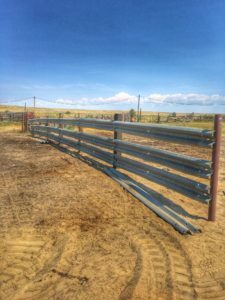 Horse runs with continuous fencing and top rail in Berthoud, Colo.
Alleyway with attached runs, built with continuous fencing and top rail in Fort Lupton, Colo. 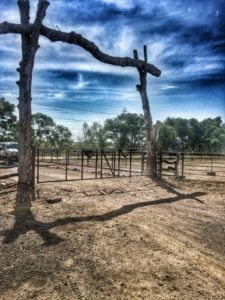 Custom entrance gate in Eaton, Colo. 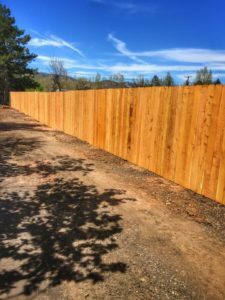 Custom entryway in Wellington, Colo.
Privacy fence in Fort Collins, Colo. 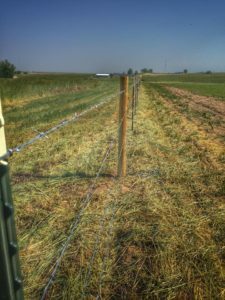 Emergency barbwire repair in Fort Lupton, Colo., following a car wreck. 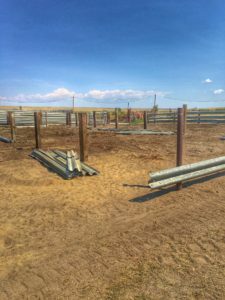 All-pipe runs in Fort Lupton, Colo.